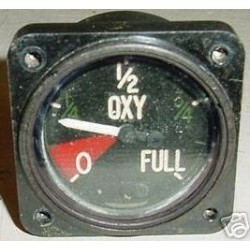 2 1/4" Hawker Hunter T68 Oxygen Quantity Indicator. It fits several other British aircraft models as well. Very clean item. It would make an excellent show item of the office or home or as a mock up panel instrument. RARE!! 3 1/8" Vintage British Warbird Jet Fuel Quantity Indicator. P/N unknown, dataplate missing. RARE!! 3 1/8" Vintage British Warbird Jet Fuel Quantity Indicator. P/N unknown, dataplate missing.Very clean item. It shows very well and it would make an excellent show piece for the bookshelf in the office or home or just as a mock up panel item. 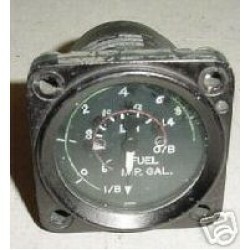 Do you happen to know the typ..
2 1/4" Vintage British Warbird Bomber Oil Capacity Indicator. Manufactured by Smiths Industries. P/N G6A500221. 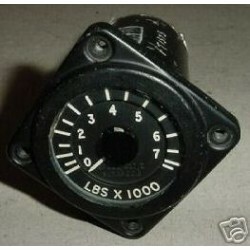 2 1/4" Vintage British Warbird Bomber Oil Capacity Indicator. Manufactured by Smiths Industries. P/N G6A500221. Very clean item. It shows very well and it would make an excellent show piece for the bookshelf in the office or home or just as a mock up panel item. Do you happen t..
Vintage British Warbird Jet Fuel Quantity Indicator. P/N unknown, dataplate missing. 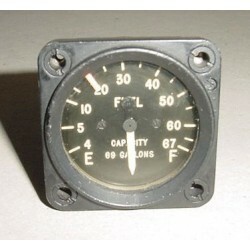 Vintage British Warbird Jet Fuel Quantity Indicator. P/N unknown, dataplate missing.Very clean item. It shows very well and it would make an excellent show piece for the bookshelf in the office or home or just as a mock up panel item. 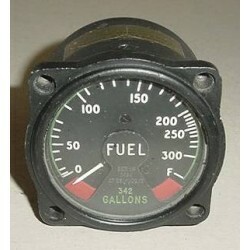 Do you happen to know the type of aircraft ..
2 1/4" Vintage British Warbird Jet Fuel Quantity Indicator. Manufactured by Smiths Industries. P/N 2266FGBR. 2 1/4" Vintage British Warbird Jet Fuel Quantity Indicator. Manufactured by Smiths Industries. P/N 2266FGBR. Very clean item. It shows very well and it would make an excellent show piece for the bookshelf in the office or home or just as a mock up panel item. 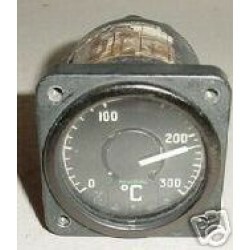 Do you happen to k..
2 1/4" Vintage British Warbird Jet Temperature Indicator. 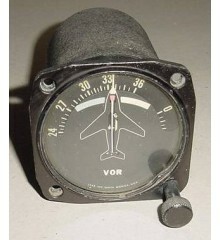 2 1/4" Vintage British Warbird Jet Temperature Indicator. Very clean item. It shows very well and it would make an excellent show piece for the bookshelf in the office or home or just as a mock up panel item. Do you happen to know the type of aircraft this item went on?? If so,..